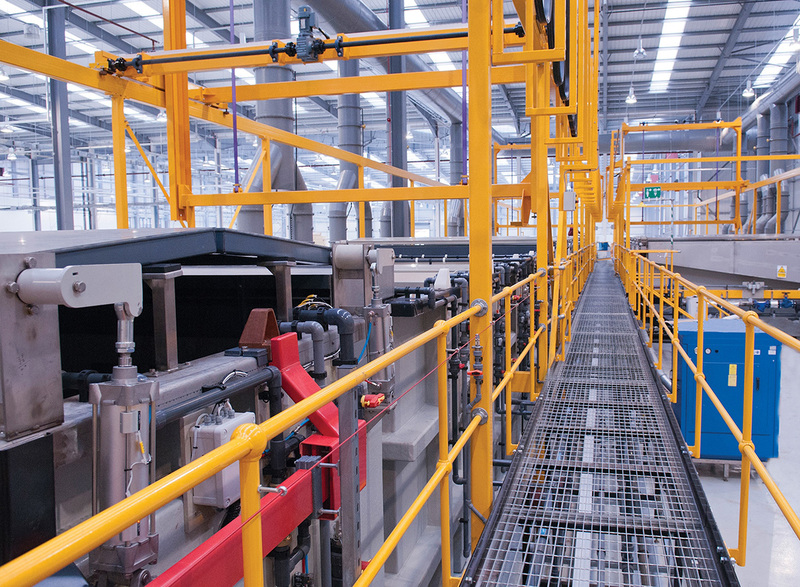 Recent plant development by Gardner Aerospace, the leading manufacturer of tier 1 and tier 2 aerospace parts and sub-assemblies, is now gaining from a major process line installation from Plasticraft. 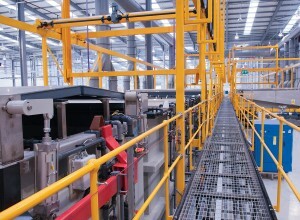 Investment by the company at new premises in Derby – one of five production facilities in the UK and 12 worldwide – has seen Plasticraft design and install a two line fully automatic processing system alongside additional equipment that reflects Gardner Aerospace’s commitment to environmental performance, typified by its Environmental Agency license. Manufacturing processes at the site range from machining and sheet metal fabrication to tooling, assembly and processing, and it is in the latter area that the Plasticraft installation is operational. Gardner Aerospace’s commitment to environmental performance is also addressed by the Plasticraft installation. Facilities at the site include abatement and recycling systems, alongside a scrubber unit which, at some 4.2 metres in diameter to reflect the air volumes produced, is one of the largest the company has ever produced.